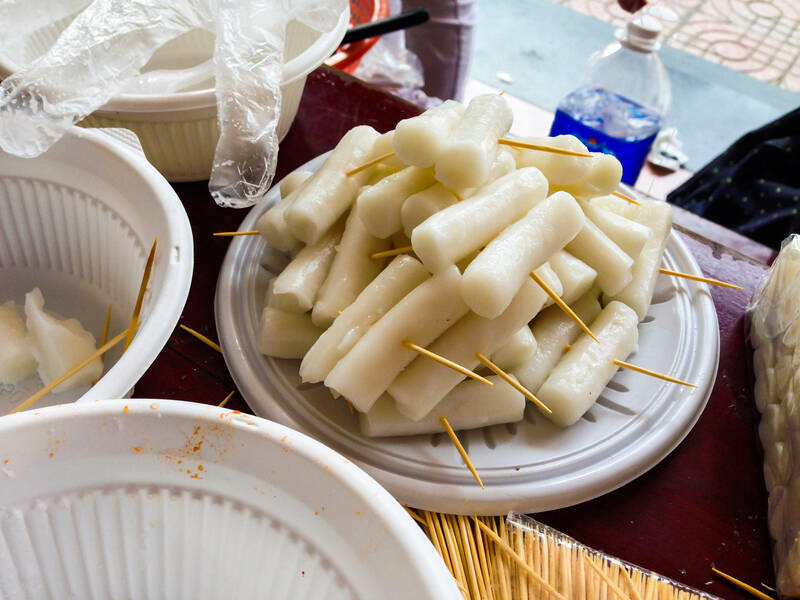 These rice cake sticks are delicious Korean street foods. They are easy to make and easy to bring along. 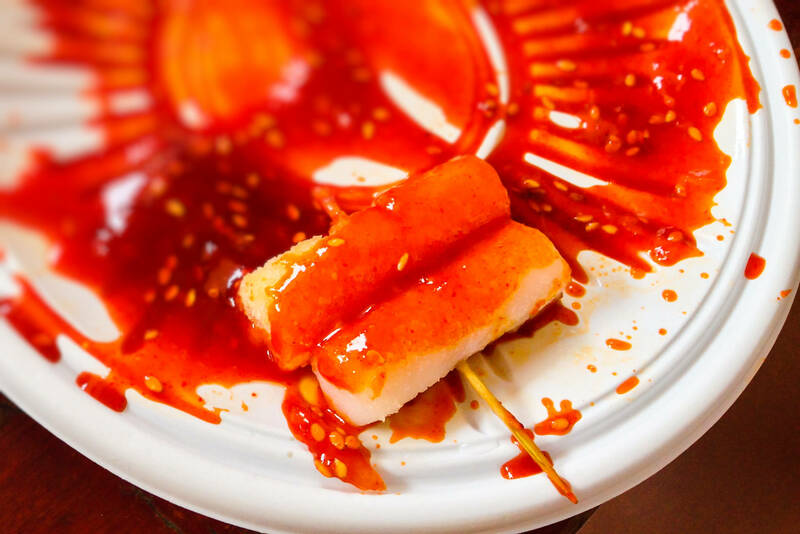 After being fried in deep oil, the rice cakes are very hot and crunchy. 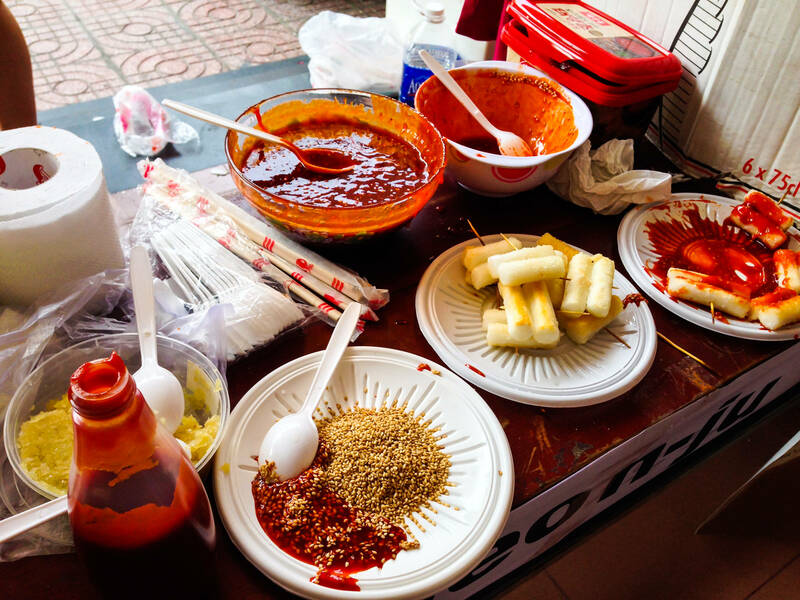 The spicy sweet sauce adds more flavours to them. 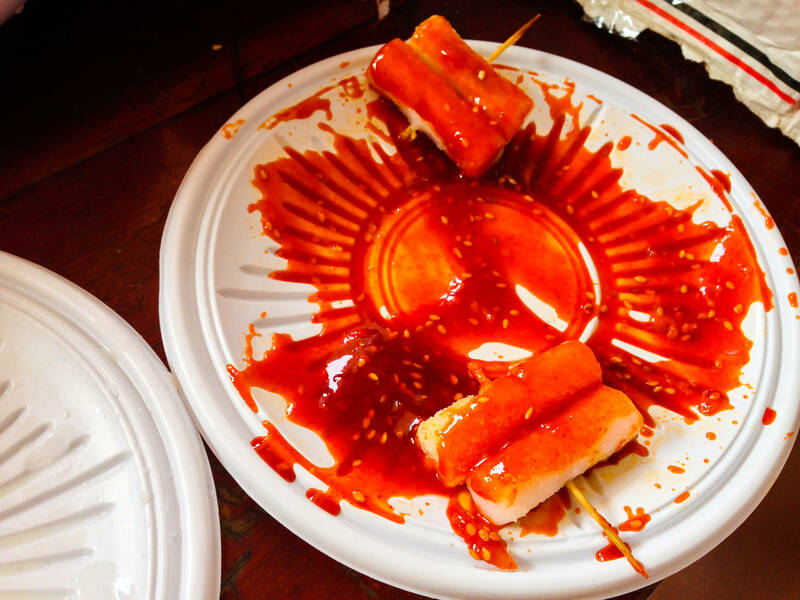 I love biting the crunchy crust outside dipped in the hot spicy sauce. 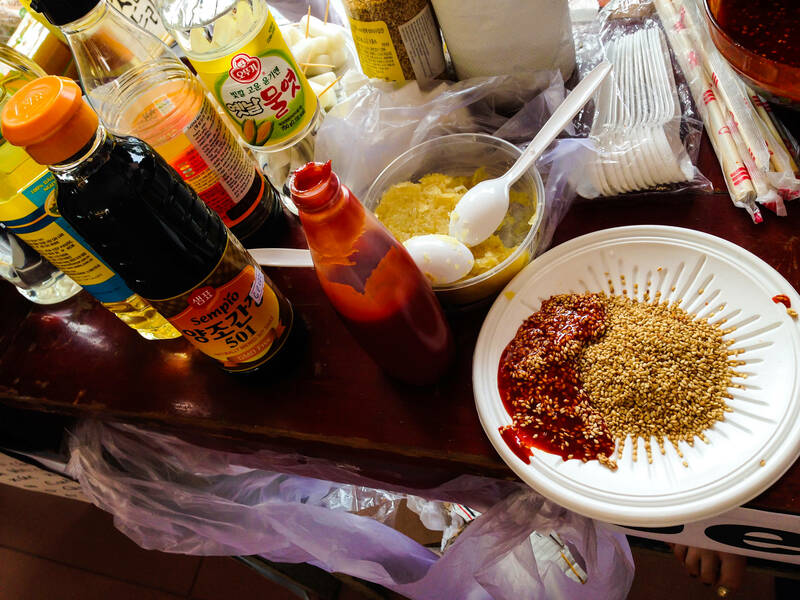 Roasted sesame also creates an attractive scent for the rice sticks. 1. Defrost the long rice cakes by putting them in the boiling water for about 1 or 2 minutes. If they are soft already, you can skip this step. 2. Put about 2 rice cakes on a toothpick to make a skewer. 3. 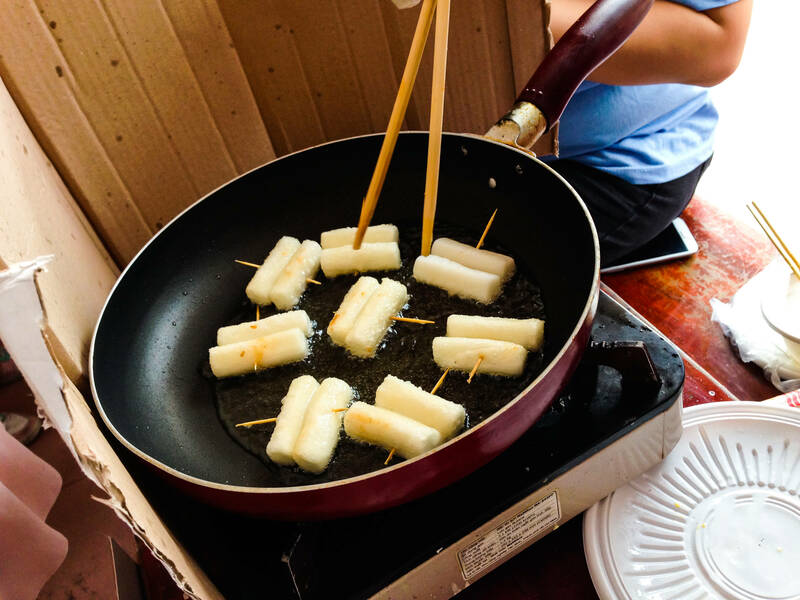 Oil the pan, put the skewered rice cakes in and fry on each side until they turn gold brown for about 1 or 2 minutes. 4. Put the fried rice cakes on a dish to cool for a minute. 5. 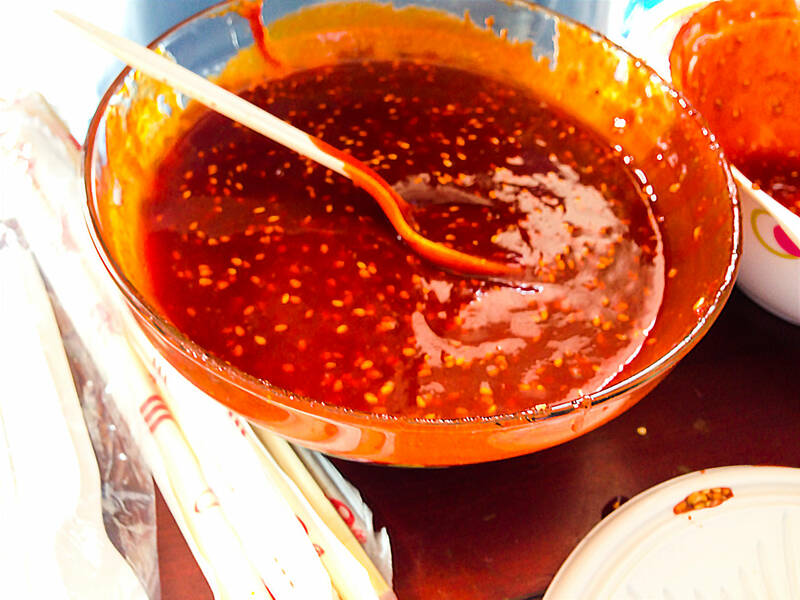 Mix the sauce ingredients in a big bowl. 6. 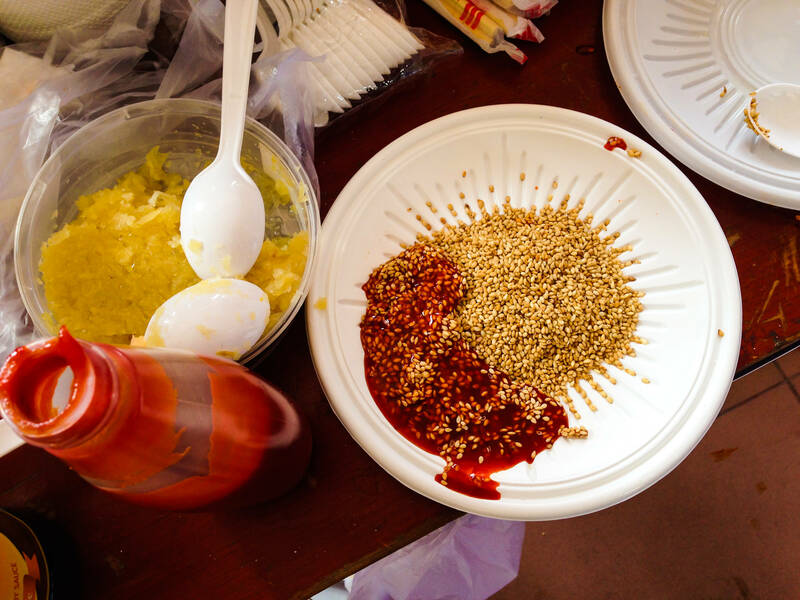 Drizzle the roasted sesame and sauce on the fried rice cakes. Hello joeunjinsei, thank you so much. Hello Rosh, thank you for your comment. The rice cakes are my favourite snack too. Looks delicious! Definitely want to try making this. Thanks for the recipe! Hello Vee, thank you for your comment. I hope you will enjoy it. Hello Hannah, thanks for your comment. I hope you will enjoy the rice cakes. Hello Miranda, thank you for your comment. This recipe is very easy and the spicy fried rice cakes are delicious. I need to go see Kim and have her cook me a Sunday dinner. This brought back memories mmmmm! Thanks for sharing and I hope all is well there with you guys and your work is going forward in good fashion. My fave! Enjoy your cooking adventures Soshi! Hello Justin, thank you so much for your comment. I’m glad you find this recipe useful.